Karen Mortimer leads Rancho Bernardo Sunrise Rotary and Don Glover leads the Rotary Club of Rancho Bernardo — known as the “Noon” club. “Initially I joined for networking purposes, but I quickly found out Rotary is so much more,” said Mortimer, a Rotarian for seven years. She was also looking for a community service outlet since her son, Andy, and daughter, Leisa, were both grown and Mortimer was no longer involved with their activities. The Rancho Bernardan for 15 years is a certified financial planner and adviser at Merrill Lynch in La Jolla. Glover joined Rotary four years ago. “I had known about Rotary for many years, but my schedule did not allow me to make the commitment,” he said. He is semi-retired from his career with Enterprise Fleet Management. “I’ve always been a benevolent person, who believes in service above self (Rotary’s motto) and giving back to the community, which is what Rotary is all about,” Glover said. Glover, a Poway resident for 30 years before moving to Rancho Bernardo eight years ago, said he was attracted to the Noon club’s camaraderie, educational opportunities and the prospect of serving his community. Mortimer said her goals for the club during her year as president include focusing on the this year’s theme “Cheer for Rotary,” which includes making more people in the community aware of Rotarians’ good works through hands-on efforts or by contributing money toward others’ endeavors. To fund these projects, the club is going to hold its third annual Rancho BEERnardo festival on Sept. 27. They are focusing on one large fundraiser instead of numerous smaller efforts because Mortimer said they do not want to keep soliciting support from the same people. The Rotarians will be doing several service projects throughout the year, including Rotarians at Work Day events. One will be at the Sikes Adobe this month since it is serving as the festival’s venue, and another will be completed on the official Rotarians at Work Day, which has thousands of Rotarians around the world completing a service project on the last Saturday in April. The Sunrise club has 55 members, with an average age of around 48, though some of its newer members are in their 30s, Mortimer said. She would like to see a 10 percent increase in membership this year, with the club eventually reaching 75 members within a few years. As for endeavors the club supports, they include the Poway Valley Therapeutic Riding Center (PoVa), Ed Brown Senior Center and Team Red, White and Blue, which helps wounded military veterans. International projects include Oasis Haven, which gives a home to South African AIDS orphans, and Fresh Start, which provides reconstructive surgeries for children in other countries that need skin grafts or have cleft pallets. The surgeries are done each month at Rady Children’s Hospital. Increasing the Noon club’s membership is also one of Glover’s goals. He said it has 54 members, with three more likely to join soon. The Rotarians are primarily retirees, though some younger members have joined too. “We’re reaching out to younger people and need to get more diversification,” he said. This includes supporting Boy Scouts, PowPAC Theater, and giving dictionaries to local third graders and thesauruses to fourth graders. Other projects include contributing books to the Bernardo Heights Middle School and Fulton Elementary libraries, supporting a clean water project in Ecuador and participating in Rotarians at Work Day. Fundraisers to support these endeavors include a golf tournament each April, with proceeds also going toward Wounded Warriors. Glover said his “crazy idea” for the coming year — in which the club is celebrating its 50th anniversary — is to bring back the Symphony on the Green concerts to Rancho Bernardo. He said if all comes together, there could be a concert featuring the San Diego Symphony in the Rancho Bernardo High stadium in July. 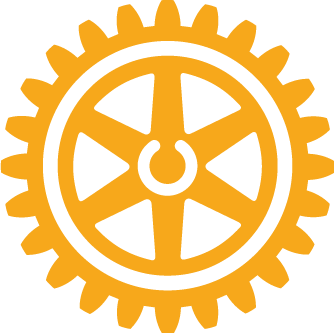 Rancho Bernardo Sunrise Rotary Club meets from 7 to 8:30 a.m. every Tuesday at the Country Club of Rancho Bernardo. Annual dues are $130 and the meeting breakfast costs $18 each week. For details on joining, call Mortimer at 858-204-2292. Rotary Club of Rancho Bernardo meets at noon most Thursdays at Bernardo Heights Country Club. The group meets at 5:30 p.m. on the second Thursday of the month. Annual dues are $250 and the meeting meal is $17 each week. For details on joining, call Glover at 619-994-7703.